If you want to see as much as possible in one day, get up early and be a half an hour before 9:00 at Shanghai Museum. Spend about 2 hours in this museum. From People’s Square and People’s Park walk along East Nanjing Road (1 hour) all the way to The Bund (1 hour). There is about 1 km from the East Bund to the Shanghai Old Town, so you can either walk or take a taxi. Allow yourself 3-4 hours to explore Old Town, including Shanghai Old Street, Shanghai Town God’s Temple, and Yuyuan Garden and Bazaar. 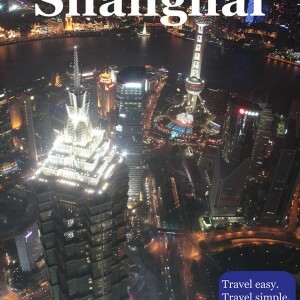 In the evening, you can visit Shanghai World Financial Center (SWFC) or Shanghai Circus World, or take Huangpu River Cruise. Our recommendation goes to SWFC. If you chose Shanghai Circus World, be aware that this place is not close to the Shanghai Old Town, and that performance start at 19:30. If you feel that this would be a too much for you, you can skip Shanghai Museum and start you day with The Bund, preceding East Nanjing Road, People’s Square, and Shanghai Old Town. On the first day visit attractions as described above in One day in Shanghai. If you didn’t visit Shanghai Museum on the first day, get up early and be a half an hour before 9:00 at Shanghai Museum. Spend 2-3 hours in this museum. After museum go to the Shanghai Old French Concession, and be there 3-4 hours. When you finish Old French Concession sightseeing, either take a rest or take a Pudong walking tour (1-2 hours), leaving Shanghai World Financial Center (SWFC) (1.5 hours) for the end of the day. Consequently, if you are staying for two days, on the first day in the evening you either visit Shanghai Circus World or take Huangpu River Cruise. If you manage to visit Shanghai Museum on the first day, you can afford yourself more leisure sightseeing on the second day, or you can take Huangpu River Cruise during the day, after Old French Concession, and before Pudong and SWFC.